Category: ELA A30 | Enter your password to view comments. 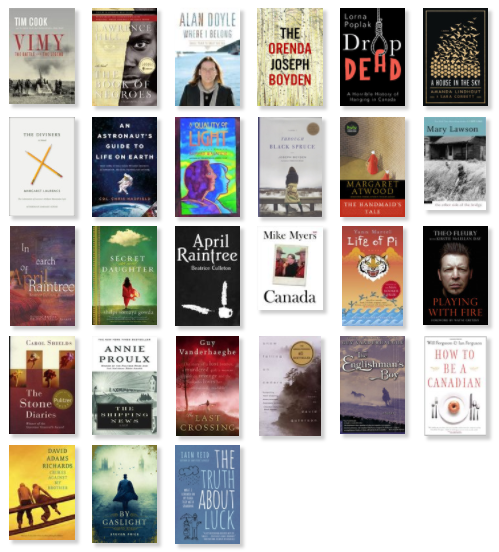 The A30 course is a #CanLit course – Canadian Literature. There’s a discussion that can be had regarding what literature should be claimed as Canadian. Some authors are born and raised in other countries and only become Canadian citizens later in life, in their 50s even, and if they publish work at that point it’s considered Canadian Literature. Some question whether CanLit shouldn’t be more about Canada – the plot happens somewhere in Canada, it reflects Canadian culture, or recounts a typical Canadian experience. Take Life of Pi, for example. Of the whole story, Canada is mentioned near the beginning because an East Indian family is selling their zoo and accompanying it and moving to Canada. It ends with a narrator who’s living in Toronto. That’s all. The rest of the story is about Indian culture, religion, customs, and happens at sea and overseas. It is still Canadian Literature, though. So.. with that in mind, there are a lot of great titles to select from. Here’s a GoodReads link to my ELA A30 shelf – on it you can skim through the summaries of the books I have for you to select from. If there’s another title you’re interested in reading, talk to me about it and it could be your selection if appropriate. The main focus of this reading activity is to enjoy the book. The second focus of your reading activity is to be an objective reader and pay attention to the writing style of your chosen text – do you like the way they use language, how they formatted the book, the way they’ve developed characters, how they’ve established a bias for the reader to follow along with, and other elements. Track this so you can identify 3-4 examples of specific elements of the author’s style of writing that you’ll later develop an essay on. Some people are starting their essays after their Canadian lit novel reading. 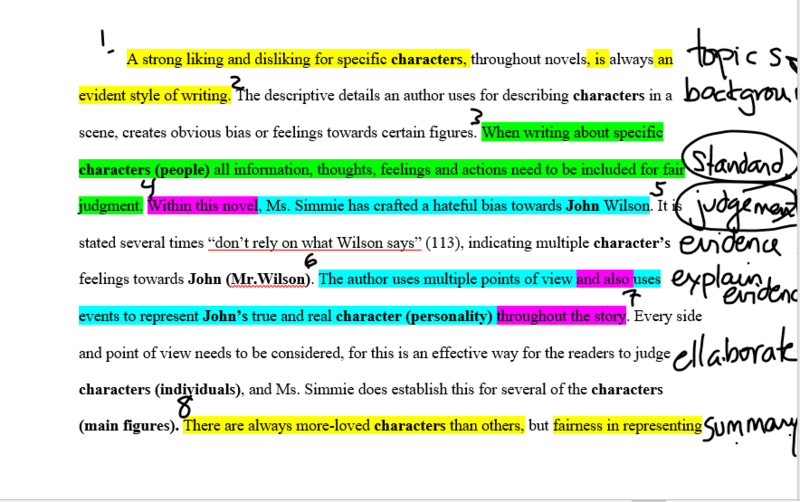 Here’s a sample paragraph from that type of essay with the sentence numbers and role of each sentence identified as a guide. Remember, this paragraph is different because it includes a Standard Sentence and Judgement Sentence. Some students are about to start section A3 in the course, which recognizes all the accomplishments and successes of Canada’s past that we are well versed on, but this section also puts a magnifying glass over scandals in our history that people can go a lifetime not knowing about. Like that British subjects once arrived on our West Coast by boat and had every right to enter Canada, which was a British dominion. However, the country at that time didn’t want “brown people”, so new laws were created specifically to keep them out. Canada, the Canadian government and its leader at the time, Stephen Harper, had to make an apology to this community of Canadians for their mistreatment in our history. Immigration is a huge hot topic right now, not just for Canada, but world-wide. The following poem has become quite popular to express what it’s like to be the immigrant fleeing home. There are discussions online by Canadians who argue Canada should not support as many immigrants as they do and instead spend more money on First Nations needs or address our Homelessness problem. What is it really like living as an immigrant in Canada today? Are the treatments and attitudes towards them improved over how they were treated in the last 50 years? There are a few online resources that go along with this next section, exploring what it’s like being an immigrant today in our current society. A Day in the Life of Acsana Fernando – what is it like to step inside an immigrant woman’s daily life activities? Comparing an Audio Text to a Visual Text: does seeing change how you take in / make connections to a topic? This next section of the course specifically looks at one theme of CanLit through one genre: Canadian landscape and character relationships with the land explored through the genre of short stories. You will soon have an assignment to develop a Canadian short story, so one of your purposes for reading is to identify techniques of the writers that you can play with to incorporate into your own writing.